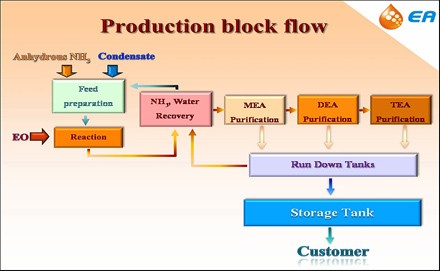 Company: Thai Ethanolamines Co., Ltd.
Thai Ethanolamines Co., Ltd. (EA), a subsidiary of PTT Chemical Ltd., was the first company in Thailand to produce ethanolamine, an essential ingredient in many personal hygiene products. Made from ethylene oxide (EO) and ammonia, this chemical is also widely used in applications ranging from paint, pharmaceuticals, and cosmetics to cement, detergent, and fabric softener. The company has recently completed construction of a new ethanolamine plant at the Rayong Mapthaput Industrial Complex in Thailand's Rayong Province. For this new plant, Yokogawa Thailand successfully installed the CENTUM CS 3000 process control system (PCS), the ProSafe-RS safety instrumented system (SIS), and the Plant Resource Manager (PRM) package. EA wants both high performance and safe operations at its new ethanolamine plant. It gets this with a fully integrated Yokogawa plant control and safety system based on the CENTUM CS 3000 PCS and ProSafe-RS SIS. 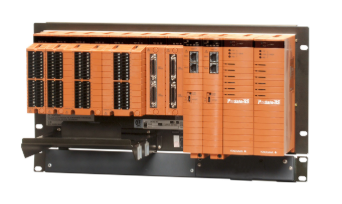 This is a highly reliable system in which the PCS field control stations achieve seven 9s availability, ensuring stable and reliable control of operations for EA. To ensure safe operations at this plant, engineers from EA and the owner, licensor, and EPC conducted a careful loop-by-loop hazard and operability (HAZOP) study and defined the SIL level. The EA plant has a number of important safety valves that need to be periodically checked to make sure they will operate correctly in an emergency. Thanks to a unique PRM function that can schedule safety valve partial stroke tests and record their results, EA's operators and engineers no longer have to put on a hard hat and go to the valve location to conduct these tests. 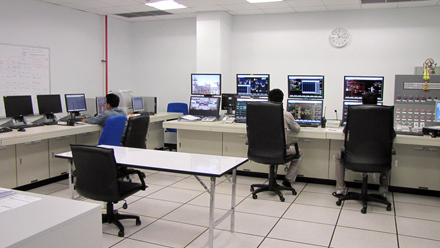 They instead can stay in the central control room and keep an eye on the overall status of plant operations. EA is happy to have this capability as it improves both safety and productivity. The integration of the PCS and the SIS also means that their loops have the same faceplates and both use the same type of keyboard. This makes it much easier for operators to react quickly and correctly if an emergency occurs. The CENTUM CS 3000 has an OPC interface that supports the provision of all plant process data in real time to the EA facility's plant information management system (PIMS), enabling this data to be shared with all other companies in the PTT Chemical Group. The plant manager, production engineers, process engineers, maintenance engineers, and even the staff in these other companies' sales departments can continuously monitor the current plant situation from the comfort of their own offices. This of course is very convenient, improves productivity, and allows for more efficient analysis of overall plant efficiency and the performance of individual assets. 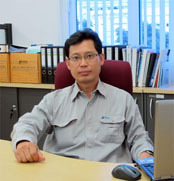 Amporn Ketcharung, the Division Manager responsible for maintenance operations (asset engineering) at the EA plant, had the following to say about the Yokogawa solution: "Our production is currently 50,000 tons/year. We are very happy using the Yokogawa process control and safety instrumented systems. The systems are very reliable and we have had almost no major problems since 2009. We have also been looking to improve efficiency and productivity, so we started to study how advanced process control (APC) packages like Yokogawa's Exasmoc and Exarqe could help us achieve production excellence." Commenting further, he said: "We installed Yokogawa's PRM package to manage more than 500 HART pressure transmitters, flow transmitters, temperature transmitters, level transmitters, and control valves. We just started using the package and are looking to take a more proactive approach in our maintenance activities. We may use data from these field devices to improve the performance of individual devices."